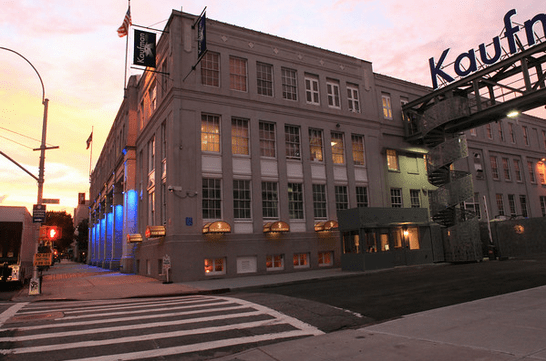 The Astor Room at the Kaufman Astoria Studios recently launched their new menu, while unveiling their renovated dining room and outdoor dining area. Chef Nathaniel Felder’s new menu features an inventive twist on traditional American cuisine and a signature cocktail list too. Felder describes it as “a mix of classic American dishes along with some unconventional twists.” Menu items include a bone on prime filet served on a bed of cauliflower puree, as well as their signature dish of pan seared scallops served with crisp oxtail, on top of bean puree and topped with onion marmalade. 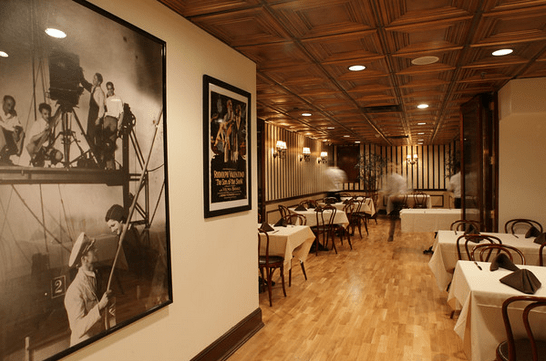 Along with the new menu, the indoor dining space has been newly renovated, retaining the original tiled walls that existed when it was the Paramount Pictures commissary. The restaurant has also expanded include a new outdoor dining area within the studio’s backlot. The outdoor area is enclosed by a wall of planted palms and colored lights under five over-sized cantilever umbrellas. Enjoy it while the weather permits. In addition to the food and space, there’s also music. There’s cocktail Jazz on Friday and Saturday evenings, and Jazz Brunch on Sundays. Great spot for after work drinks and dinner.